Microsoft PowerPoint refers to the proprietary commercial software presentation program which was created by Microsoft and launched officially on the year 1990. This software is actually part of the Microsoft Office package and can be expected to operate well with the Windows and Mac OS X operating systems. The most recent versions of this software are the Microsoft Office PowerPoint 2011 designed for Mac and the Microsoft Office PowerPoint 2010 which is designed for Windows. PowerPoint presentations take advantage of graphical approaches in slide show forms to accompany the presentation or oral delivery of a specific topic. At present, the software has been used in most classrooms and business organizations and is mainly used for training. Microsoft PowerPoint is also said to be the simplest programs in a computer. This means that anyone will never have a hard time creating stunning presentations with the help of the software. One of the major uses of the software is to create photo albums that have narrations or music and then distribute these into DVDs and CDs. If you are a sales professional, then you can use the software in creating a more illustrative chart containing essential data or an organization chart which shows the structure of your company. You can then post this presentation into your web page as a means of promoting your company or for emailing purposes. If you want to become an expert in creating PowerPoint presentations, then be aware that a trusted online certification company named as Brainmeasures can provide you a PowerPoint presentation certification program. The PowerPoint presentation course offered by Brainmeasures aims to help you understand how the software works and how you can create the most captivating presentations using it. The PowerPoint presentation certification program from Brainmeasures gives you the chance to learn the basics of customizing presentations with logos using the software and produce outputs that are guaranteed to dazzle your audience. You will become more familiar about all the functions of the software aside from being able to help anyone create screen slide shows. To complete the program, a PowerPoint exam is also being offered. This will serve as an assessment of your knowledge about the PowerPoint software and whether your skills are already enough to design creative presentations using the software. If you pass the test, then you will be able to get your PowerPoint presentation certificate. 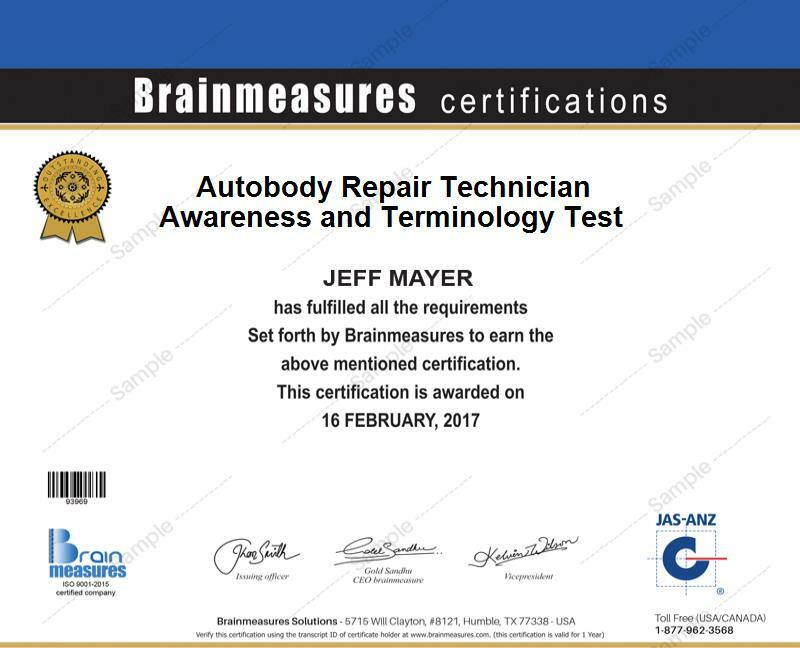 Because of the fact that Brainmeasures does not set any standards, qualifications and requirements for all its programs, rest assured that you will be admitted into its PowerPoint presentation certification program as long as you are interested in learning the basics of creating presentations with the help of the PowerPoint software. The PowerPoint presentation certification course is also suitable enough for both aspiring and existing PowerPoint users who wish to understand the procedures involved in creating dynamic slide shows using PowerPoint that allow them to stick to an independent path at the time when they deliver the presentation. If you are already a certified PowerPoint presentation expert, expect different organizations to offer you a higher salary. Average salary for PowerPoint presentation certification holders at present is $45,000 according to Simplyhired. The good thing about being an expert in PowerPoint presentation is that you will have an easier time looking for part-time jobs and this is a major help in your attempt to supplement your current income.